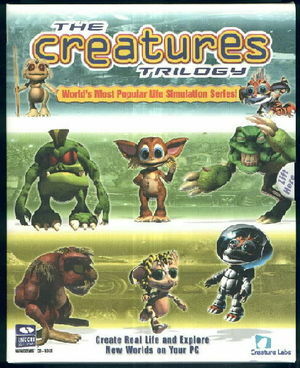 Creatures Trilogy was a re-release of the Creatures series sold in the USA only, comprised of Creatures, Creatures 2, Creatures 3, Creatures Life Kit #1 and Creatures 2 Life Kit #1. It was published by Encore Software (for Windows), and later repackaged as Creatures Trilogy Gold to re-boost sales. This page was last modified on 4 June 2017, at 15:40.